Not only is the next PhotoFair just around the corner… February 23rd at Newark Pavilion, but we have Jeff Martz confirmed to return and we will have a special guest, Larry Beckerman, Factory rep for Laowa Lenses! He is bringing in some very cool and unique lenses that can be used on modern digital cameras like,, Canon, Nikon and Sony! Don’t miss this excellent opportunity to see these amazing high-tech lenses from Laowa! But you knew that already right? 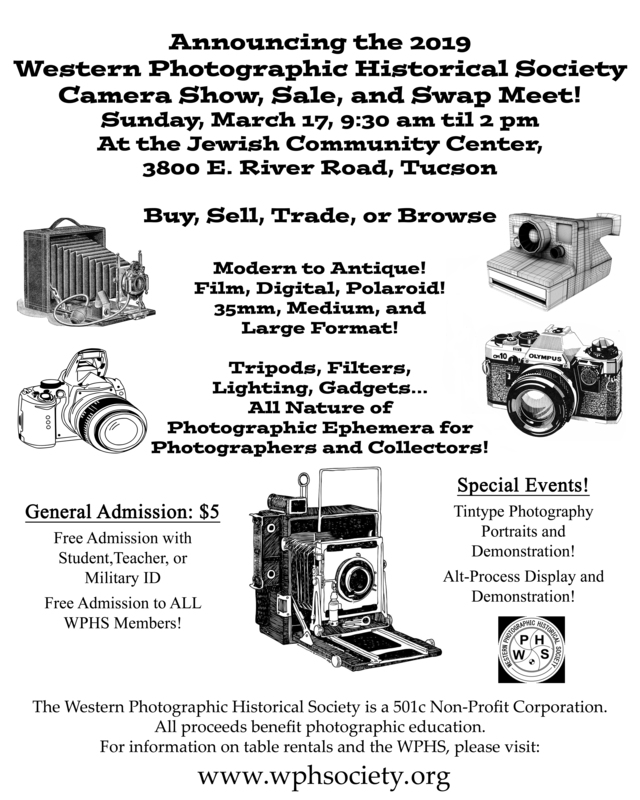 I want to throw out a plug for the Western Photographic Historical Society that is having their 61st annual show and swap in Tuscon on the 17th or March. Take a look at their flyer below!